The fireplace and mantel are often the focal area of a home, especially in winter. This is a great place to display winter greens, family heirlooms or your collection of Santas, nutcrackers, angels, snowmen or reindeer. 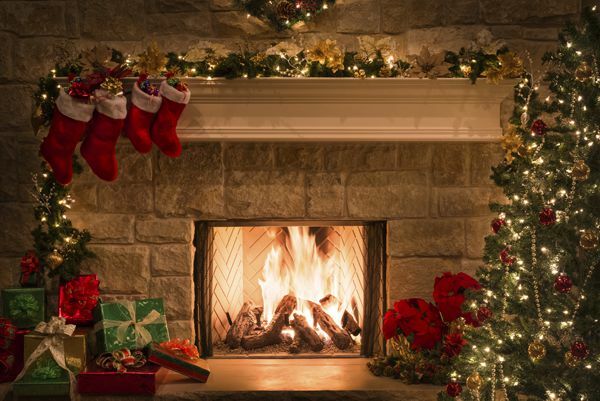 Place a mirror, artwork, holiday items or collectibles on the mantel. Create visual balance by placing similar large items or components of the same theme on the opposite side of the hearth below. Create and place a wreath on the wall, atop a mirror or just prop it against a vertical surface. Hang a garland or lay it on the mantel. Cluster small topiaries at either end of the mantel. Tuck loose stems of greens between positioned décor. 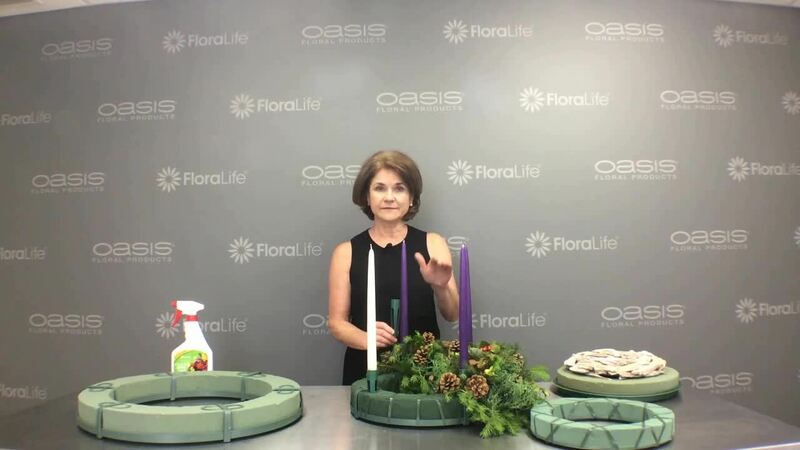 Use OASIS Raquettes or brick trays as the foam base for arrangements of greens such as magnolia,cedar, pine, boxwood, nandina, etc. Intersperse berries, pinecones, birch logs, etc. for a natural look or tuck in branches sprayed gold or silver for celebratory flair. Use Christmas lights, lanterns, candles or acolytes (faux candles) to highlight the decorations. Keep it safe: place real candles that might touch flammable materials inside glass. Tape or tack dangling electrical wires down to avoid tripping. (See more holiday floral arrangements using a variety of materials). Focus on things that have special meaning for your or your client's family such as ornaments, collectibles, photos or stockings. Select a theme and use similar decorating elements throughout the house. Love nature? Use natural materials like fruit, birds, or cones. Like 'glitz and glam'? Choose silver or gold decorations or update older ones with metallic color spray. Miss the beach? Add white seashells into the mix. No Mantel? Choose another accent area as your focal point. What's an accent area? Choose a spot that draws attention to a primary place in the home to decorate. This focal area acts as a design element of your decor. It can be an unusual space in the home, an architectural detail like a staircase railing or uniquely shaped window or a furnishing such as a sofa table or sideboard. Enjoy accessorizing the area with unexpected color and texture, a quirky or surprising container and materials that you love. Festive décor can be fun to create or share with guests. Click here to start shopping for supplies! Interested in fresh-cut wreaths, garlands and consumer greens? Browse our fresh greens catalogs here, and ask your sales rep for pricing?